I’ve been seeing a lot of tie-front dresses lately and I am hooked! 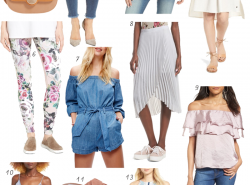 I swear, summer comes out with the best trends! I don’t know if it is the fact that you can have a bow on your dress (I love bows!) or the cut-out detail that gives it a summer feel, but all I know is that I want to try out this summer trend! A couple weeks ago was my sister’s birthday and for her birthday she wanted to have an afternoon tea time at The Allis. For those of you who are not familiar with The Allis, it is a section in Soho House and they offer afternoon tea. There are uniquely made tea blends with delicious spreads of tea sandwiches, scones, and fancy cakes. I highly recommend it. I was convinced and heard about the place when I discovered them through Instagram. Are you convinced now that you have to go too? Well as always, we decided it would be fun to dress up. I took this as an opportunity to wear a tie-front dress. That’s when I discovered this striped tie-front midi dress from Boohoo. It has a slight cut-out in the front and the tie makes a prominent bow. Actually, I didn’t have to tie it. It was already tied into a bow for me. Makes my life easy because I can never tie a perfect bow haha. I fell in love with its striped style (loveeee stripes) and midi length. It is classy, feminine, but still a little fashion forward. This dress gave me a flavor of the tie-front dress trend and let’s just say I am hungry for more. I definitely want to try out this trend more before summer ends! This floral print dress has a very feminine feel to it. The tie has a tiny bow and has a smocked back for comfort. The fact that this dress is gingham already won me over. It is the print of the summer! 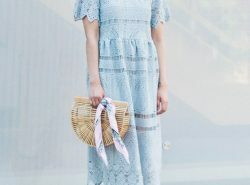 This dress mixes two different gingham patterns and creates a unique look. This may not be a dress but the wide-leg style gives it an appearance of a dress. So if you are craving a dress during a windy day, this jumpsuit is the one to wear. Living in the windy city, it’s so perfect! This dress has a retro feel to it. It is made out of a lightweight woven fabric which makes it very breathable during the heat. I love the button front detail! I couldn’t resist a striped dress. It has bold vertical stripes with a classic feel to it. Loving this fun summer look! And yes I'm definitely convinced, tea time is the best! Right?! It's so fun and the Allis is such a cute place! Such an adorable dress! You look great Rach! Thank you Jenny! I know tying a bow is so hard haha! Just scheduled this to pin. I mean, you could not be any cuter! I love this dress and the pink wall is so fun! Thank you so much Amy Ann! I am always pinning your stuff! You have great stuff! This dress is absolutely adorable! 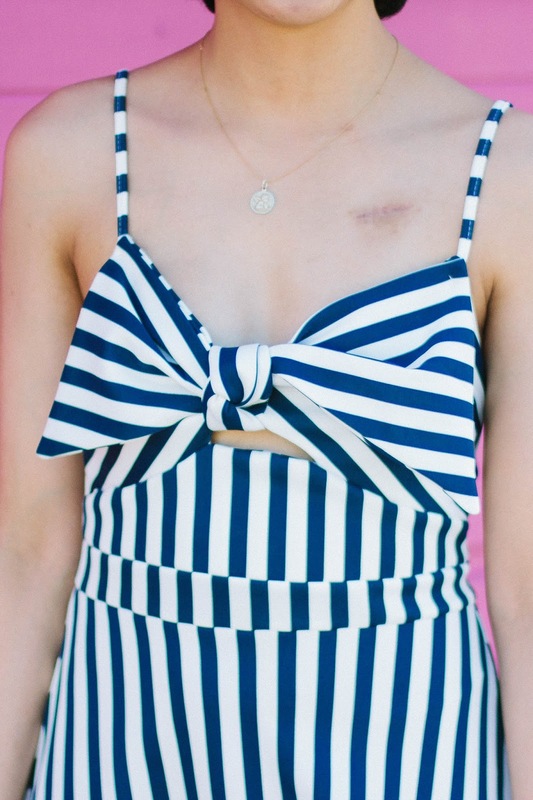 Love the stripes and the bow in front! This dress is so stunning! I love the bow in the front! You look amazing, Rachel! I love this dress and the bow detail so much! This is the cutest dress! Love the tie front detail. I've seen several dresses that have this cute detail, the tie front. 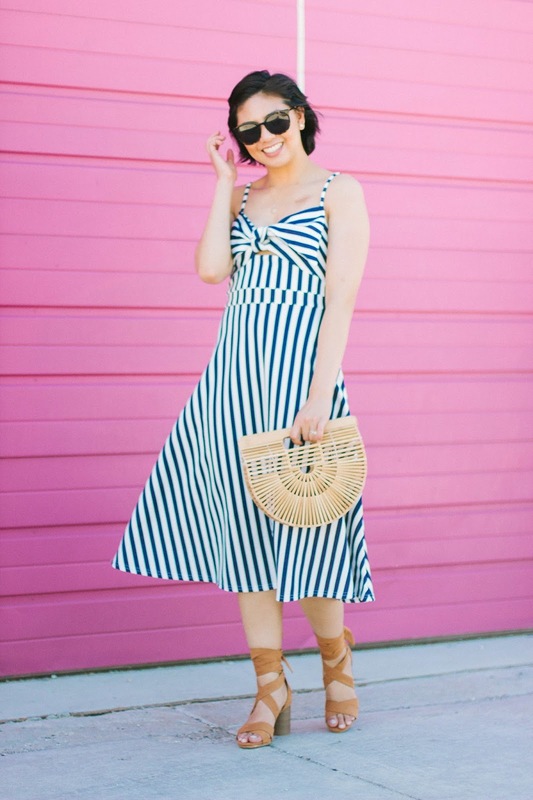 Loving the stripes and your shoes — you look so pretty! Thank you Lily! Congrats on your new service! This dress is gorgeous, and the pink background is to die for! i'm such a big fan of that tie front detail! so pretty! and i love the stripes! loving your blog and can't believe I'm only just finding it !! such great quality and love the layout and design !! Thanks so much Anna Lisa! Love your dress. Big fan of all the picks you do. Great! That dress is so cute! I love the tie-front details! That dress is so cute and perfect for summer. It looks great on you! Seriously obsessed with this dress! 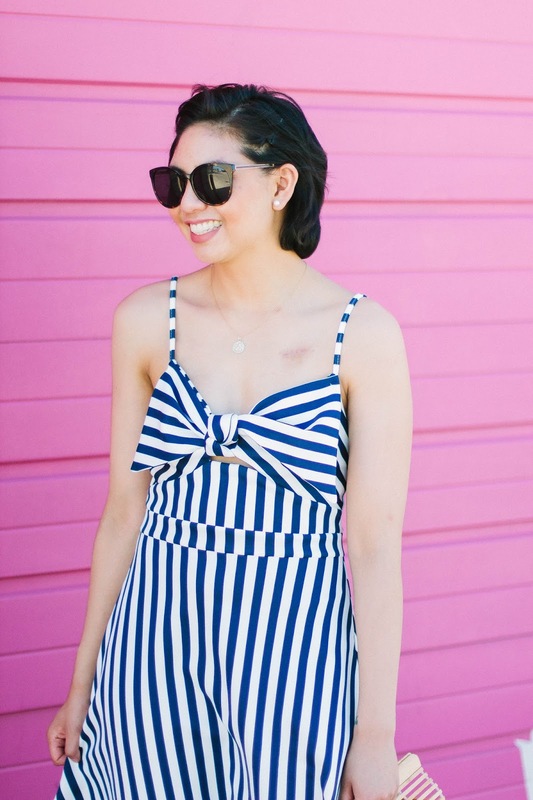 I love the bold stripes and tie front! I love this dress! I'm a sucker for anything striped. It looks great on you! Your dress is fantastic! I love the bow detail and it looks fabulous on you too! This dress is gorgeous! I love tie-front everything but I haven't quite worked up the guts to try one of these types of dresses! It's so gorgeous on you though! Thank you so much Virigina! I love that dress and where you shot! I am a sucker for tie front dresses. 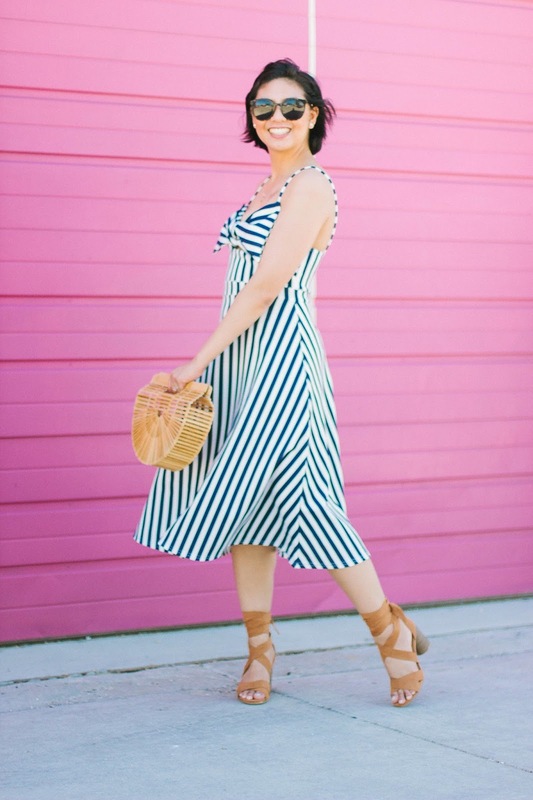 This striped frock is gorgeous! You do have the best collections of them! Thanks Jessica! I have definitely been wanting to find a dress or romper with a bow like this. It's the cutest! The dress is such a sweetheart. Love it! This tie front dress is to die for Rach and you know, you make it thousand times better on you. Thank you so much Esraa! You are too sweet! No me puede parecer más mono este vestido, es precioso y la combinación con el camel queda brutal. How perfect is this dress? Seriously – love the stripes and the tie front. Plus, it's a midi too! I'm obsessed with this dress- and you in it! You look amazing + like summer personified! What a fun dress Rach! Perfect for this crazy summer heat! These are all great finds!! I love the striped dress you are wearing! Tie-front dresses are one of my favorite styles for summer. Omg you look so pretty and sweet. This dress is the cutest. Amazing Outfit, You looking beautiful. I swear, when I shop at Boohoo, things look OK on me. But when you shop at Boohoo, things look like a million bucks. You're fabulous! Nice look!! The dress looks so cool, want to get one!! Love the front bow!! Super cute!! You look amazing!